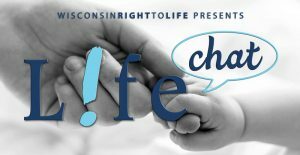 Please join us in Dodgeville for a casual gathering where you can meet the new leaders of Wisconsin Right to Life and share your thoughts on critical life issues. Please join us in Janesville for a casual gathering where you can meet the new leaders of Wisconsin Right to Life and share your thoughts on critical life issues. Please join us in Berlin for a casual gathering where you can meet the new leaders of Wisconsin Right to Life and share your thoughts on critical life issues. Please join us in Shawano for a casual gathering where you can meet the new leaders of Wisconsin Right to Life and share your thoughts on critical life issues. Please join us in Wisconsin Rapids for a casual gathering where you can meet the new leaders of Wisconsin Right to Life and share your thoughts on critical life issues. Please join us in Seymour for a casual gathering where you can meet the new leaders of Wisconsin Right to Life and share your thoughts on critical life issues. Please join us in Waupaca for a casual gathering where you can meet the leaders of Wisconsin Right to Life and share your thoughts on critical life issues.